Notification for extension of last date for inviting project proposal submission under Deen Dayal Upadhyaya Grameen Kaushalya Yojana (DDU-GKY) in the State of Mizoram. Last date of proposal submission is 30th April, 2019. 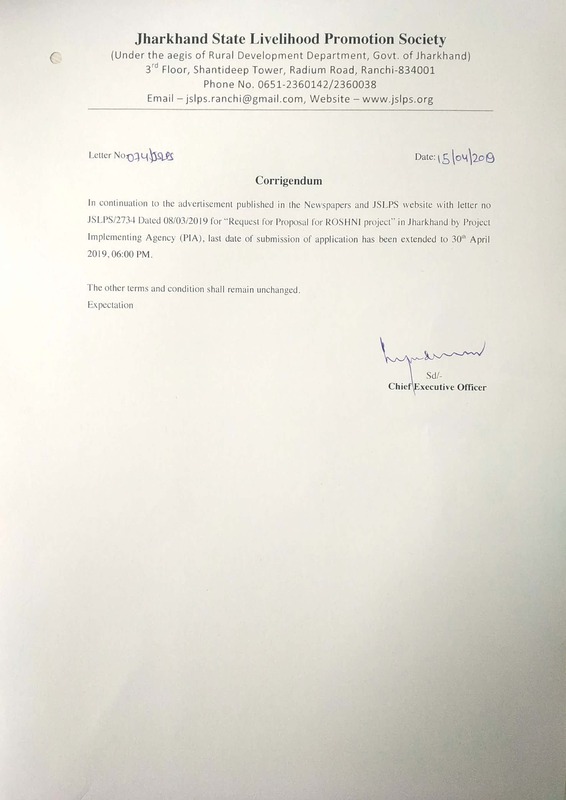 Process regarding Expression of Interest (EoI) for hiring of State Technical Support Agency (STSA) under Deen Dayal Upadhyaya Grameen Kaushalya Yojana (DDU-GKY) could not be completed due to enforcement of the Model Code of Conduct for parliamentary election 2019, it be treated as withdrawn. Change in the data of PIA in PRN Application of DDU-GKY.